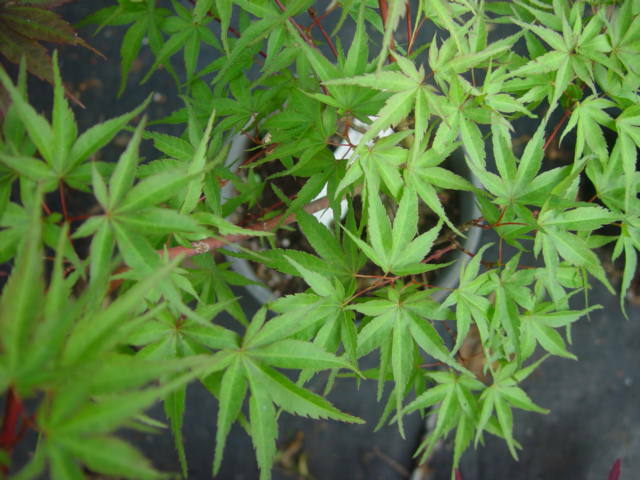 A very popular 'hime' type maple with new leaves emerging light green and purple edges. 'Murasaki' means purple. Most 'hime' have reddish or brownish edges. Leaves become dark green in the summer and changing to gold and oranges. Creates a rounded bush form reaching 3 ft. Very good for bonsai. Sun/part shade in well-drained soil. Zone 5.